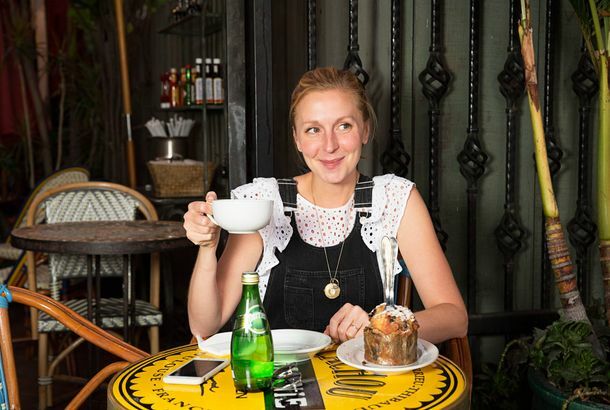 Christina Tosi and Milk Bar Will Rename Their ‘Crack Pie’The bakery chain is tweaking one of its most famous items. Ben & Jerry’s Now Sells Cereal-Milk Ice CreamThe flavors include riffs on Froot Loops, Frosted Flakes, and Cocoa Krispies. 6 Excellent New Cookies to Enjoy This Winter, Because Resolutions Are DumbIncluding High Street on Hudson’s stroopwafel, Té Company’s pineapple linzer, and Mah Ze Dahr’s chocolate sable. The Cereal Milk Affogato Is Milk Bar’s Latest CreationThis is exactly what you should drink during a heat wave. Milk Bar’s ‘Ballpark Bomb’ Is the Craziest Snack of the SummerIt’s filled with sliced hot dogs. Christina Tosi’s Cranberry-Gingerbread CakeA six-inch “gingerbread house meets cranberry pie ” that evokes festivities without trying to compete with anyone’s grandma. Annie Leibovitz Photographed Christina Tosi for a Real-Estate AdPlus the hOmE brothers. Sweet Chick’s Pig Roast; Saves the Day Plays Mission CantinaPlus: Jehangir Mehta is cooking a dinner at his private kitchen, Momofuku Milk Bar has a strange new soft-serve flavor, and more, in today’s leftovers. The Curious Case of Milk Burger, the Better-Than-It-Should-Be Shake Shack CloneSo-called MilkSauce might even be better than ShackSauce! Cake Balls at Milk Bar Midtown; Flex Mussels Celebrates Belgium DayPlus: cartoons at Bill’s Bar and Burger, and Greek takeout at the Essex Street Market, all in our daily roundup of neighborhood news. Milk Bar Cookbook; Chris Cheung Turns Up in Staten IslandPlus: Start saving now for Daniel’s Citymeals fund-raiser, and Zenkichi introduces a bargain prix fixe, in our regular roundup of neighborhood food news.